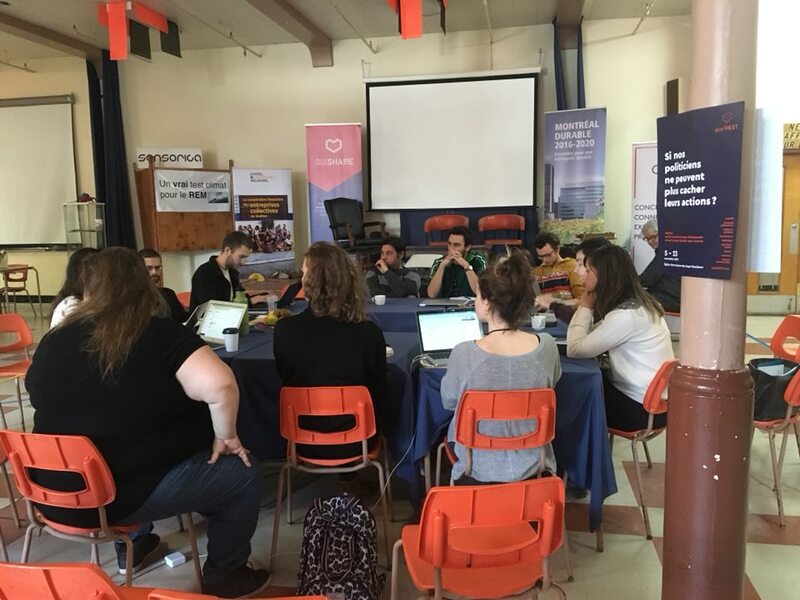 It was an ambitious second week of eco2FEST with workshops and conferences revolving around four different themes: Public Policies, Governance, Habitation, and Urban Agriculture. A lot of important questions were raised as citizens, entrepreneurs, and government officials worked through them all to find collaborative solutions. Even when no concrete solutions were proposed though, the discussions set the stage for a more focused framing of these themes in the future. At their most basic, public policies are the intersection between what citizens ask for and what governments can provide. It is this constant flux from one side to the other that creates the common ground of how society is run. Finding a common ground that’s truly for the benefit of the greater good, however, is a different story. This has been the root cause for countless of political struggles since the dawn of civilization. For any equilibrium to be achieved, there has to be a balance of energy or power on all sides. And that starts with trust and a willingness to collaborate. Governments need to make a greater effort to seek input from citizens impacted by proposed policies while citizens need to take initiative to engage in constructive dialogue with government officials. Only then can innovative public policies take shape. Historically, governments often favour stability while businesses mostly thrive on disruption. But for overall progress to happen in society, it depends on government’s ability to stomach change. Businesses have always been a step ahead of governments not only because they embrace change, but also because they actively seek out public opinion. If governments want to keep up, they have to do the same and go a step further by establishing units or processes that provide future projections based on current socio-economic trends. This will allow governments to at least proactively prepare for future growth rather than reacting too late to realities on the ground. It will result in more opportunities for governments to engage in timely discussions with the public. Besides examining the role of government, eco2FEST participants also considered the other side of the equation: how can we empower citizens with the notion that they have the right to express their opinions on how society is run? Participatory democracy was brought up several times as a potential way for people to get in the habit of working together with the government. Of course, it means that the government has to transition to that concept and introduce how it works early in the education system. Once citizens start to participate more and governments have a better pulse on what the needs are, what’s the best way to use crowdsourced data effectively to implement public policies? This was another sticky point in the workshop discussions last week. For example, there’s a massive amount of urban traffic data out there compiled by both public and private sectors. But it’s been difficult to design mobility models and transportation systems based on that data because every source wants to protect its data for different purposes. On top of all that, there are privacy issues that people are rightfully concerned about. The question then turned to regulation, which is sometimes a waypoint of implementation. For that, Guillaume Lavoie recommended not to jump straight to regulations before the subject is fully understood – that would be worse than not regulating at all. “The goal is to have the least possible, to access as much as possible,” he said. Technology was consistently proposed as a possible solution. Technology can facilitate the processing of governance processes because of its dynamic ability to provide real-time information and instantaneous feedback. One of the most promising technological applications in governance comes in the form of smart contracts in blockchain. The potential of blockchain as a governance tool is so strong that it has been adopted by businesses and even governments such as Estonia’s digital republic. Blockchain platforms are designed to evenly distribute the power of governance and direction that decisions take. In that sense, members of the platform are simultaneously users, investors, and stakeholders. All these members are brought together from different cultures and values. The issue is how we make it work and achieve consensus. Another concern raised in the discussion was maintaining decentralization. What we want to avoid is the consolidation of power in any extreme and not knowing who actually holds the power. In response to the governance concerns of blockchain, Pascal Ngo Chu – co-founder of EOS/Steem Québec – pointed to EOSIO as an example. It is a blockchain platform that introduces a governance model. A constitution can be created first, which all other application systems must follow. From there, a democratic system can be established with voting tools for people to make decisions. At the end of the day though, it’s the individuals who form the hub of a blockchain network. Yes, government needs to be involved in supporting the system, but the grassroots level needs to first demonstrate that it works even in a rapidly evolving society. However the platform is designed, governance has to be ingrained yet remain flexible enough for new directions. We also have to remember that the platform is not the solution – it is a tool for governance and transparency that works so long as the human connection is stable. For all the talk about progress in society, it can’t go very far if the basic needs of the people aren’t met. That brings us to the theme of Habitation. We’ve seen the steady rise of housing costs for years and it’s time we come up with creative solutions to combat that issue. Many ideas were pitched at the eco2FEST workshops, including transitional use of vacant spaces. So rather than leaving undeveloped lots sitting empty, is there a way we can make use of them? The same goes for unoccupied buildings or infrastructure. What would a system that temporarily repurposes vacant spaces look like? Housing cooperatives were also mentioned as proven working models, although everyone acknowledged that they do have some hurdles to overcome. These include setting up reliable conflict resolution systems as well as systems properly recognizing everyone’s specialties and contributions. The most significant hurdle has to do with the public image of housing cooperatives. They are neither social housing nor places where everyone is expected to scrub the common floors together. Housing cooperatives are all about lowering the housing costs for their members. If that is what everyone ultimately wants, why is participation still so low? It seems that housing cooperatives could do with more support from governments and more rebranding campaigns from the private sector. Food is another basic need that needs to be addressed. And in an urban environment, it’s even more important that sustainable approaches are used. It was fitting that communal food was served throughout eco2FEST, but especially so during the urban agriculture workshops. It ties in with the fact that it really does not require massive infrastructure to feed people. 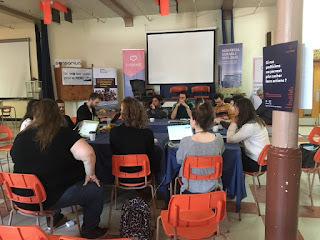 What emerged from the discussions was the need for us to completely change our way of thinking when it comes to urban agriculture and food sovereignty. In a sense, we need to think big in small systems. For instance, we can first change our concept of food consumption. Instead of consuming what we want, we can start by consuming what we want among what’s locally available. That would cut down on infrastructure being used to produce food for distant locations, along with all the transportation costs that come with it. Douglas Jack, a sustainable community development expert, gave a presentation advocating people to take a 3D approach to agriculture. That involves considering the collaborative effect of plants occupying all height levels – from trees to fungi – that contribute to a healthier ecosystem. He also talked about various indigenous techniques for sustainable livelihood, the details of which he catalogued online for open-source sharing. From his example as well as that of Jack SoRelle – who created the Plenty4All organization from scratch – there was a consensus that open-source sharing of agricultural techniques is an economically feasible way to establish grassroots-oriented solutions for communities all over the world. As the second week of eco2FEST came to a close, it was apparent that there is a common thread that ran through these four themes: it all comes down to education. It’s about learning how to let your voice be heard; it’s about teaching how to run an equitable society. It’s about learning how to live affordably together; it’s about teaching how to feed the world sustainably. What inspired you the most from the conversations you’ve had last week at eco2FEST? What would you like to accomplish by the final week? Winluck Wong is a freelance writer helping companies grow their businesses through blogging, web content writing, copywriting, and social media management. He gets excited about an eclectic mix of topics from business strategies and sustainable development to personal finance and life hacks. Follow his cheeky musings on Twitter and imagine how he can fit in your story on his website.